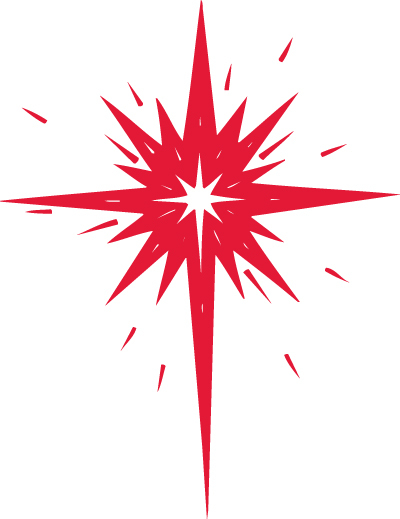 The Christmas Joy offering is one of four Presbyterian special offerings collected throughout the year. Contributions to the Christmas Joy offering are divided 50% to assist retired missionaries and church workers, and 50% to support traditionally racial-ethnic educational institutions affiliated with the Presbyterian Church, USA. Thus, the Christmas Joy Offering seeks to honor the Church’s past while nurturing its future. Immanuel will collect the Christmas Joy Offering this Sunday during worship. Please remember to give generously to the Christmas Joy Offering that day. La Ofrenda Gozo de Navidad es una de cuatro ofrendas Presbiterianas especiales recibidas durante el año. Contribuciones a la Ofrenda de Gozo de Navidad son divididas en 50% para apoyar misioneros retirados y trabajadores de la iglesia y 50% para apoyar las instituciones educativas que son tradicionalmente étnicos raciales y afiliadas a la Iglesia Presbiteriana, USA. Así, de esta manera, la Ofrenda Gozo de Navidad busca a honrar su pasado mientras que cultiva su futuro. Immanuel colectara la Ofrenda Gozo de Navidad este domingo durante el servicio. Por favor recuérdese de donar generosamente a la Ofrenda Gozo de Navidad ese dia. The Deacons’ Offering will be received this Sunday in worship. You can always make your contribution to the Deacons’ Offering (as well as your regular offering) online here. 100% of proceeds from the Deacons’ Offering are shared with those in our church and community who are experiencing financial need. 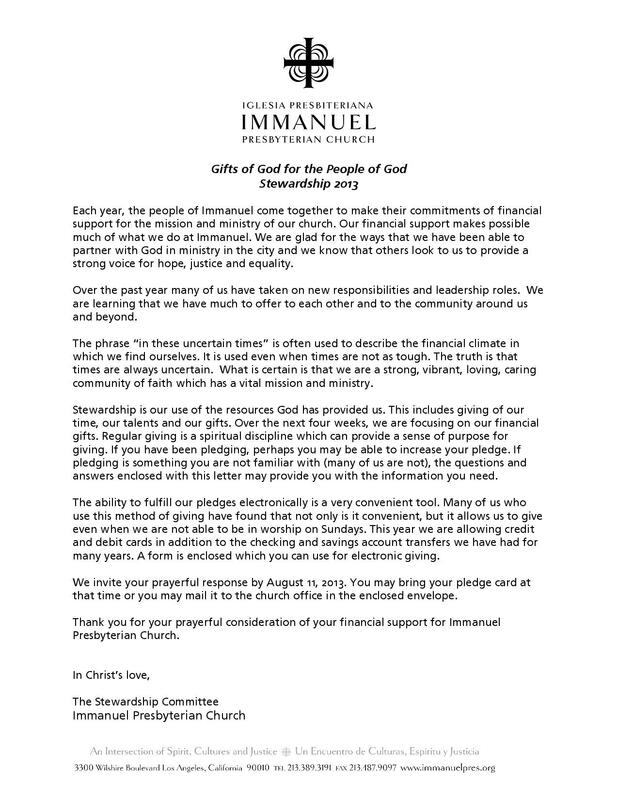 Thank you for your generous support of this crucial ministry at Immanuel! La Ofrenda de los/as Diáconos/Diaconas se tomara este domingo durante el servicio. También puede hacer su contribución a la Ofrenda de los/as Diáconos/Diaconas (y también su regular ofrenda) aqui. 100% de lo recaudado es compartido con aquellos quien están tienen necesidades financieras. ¡Gracias por su generoso apoyo por este importante ministerio en Immanuel! Super Typhoon Haiyan left monumental devastation when it struck the central Philippines on November 8. The storm, known as Yolanda in the Philippines, has been identified as one of the worst storms in recorded history. Reports indicate severe destruction, with damaged roads and buildings, downed power lines and telecommunications, and flooded villages. Hundreds of thousands of people are displaced. The areas hit cover already-poverty-stricken communities, which have suffered from successive and simultaneous emergencies. Presbyterian Disaster Assistance is working in collaboration with our mission partner, the National Council of Churches in the Philippines (NCCP), and other members of ACT Alliance to respond to this crisis. Initial response includes the provision of nonfood items, material resources, drinking water, emergency-shelter kits and cash-for-work-programs. Donate now. Learn more: get the PDA situation report. GIVE. Share your financial blessings by designating gifts to DR000012-Philippines. Individuals may give through their Presbyterian congregation, online, or by mailing a check to Presbyterian Church (U.S.A.), PO Box 643700, Pittsburgh, PA 15264-3700. You can also text PDA to 20222 to donate $10 for disaster response. ACT. Sign up to receive PDA RIN (Rapid Information Network) emails to stay aware of current responses and urgent needs that you can share with your congregation. Visit PDA on Facebook for more. PRAY. Please pray that through the response of the faith community, the people and communities affected by Super Typhoon Haiyan and those offering assistance will be strengthened, have their needs met, and be reminded of the hope and compassion that are found in Christ. Join the PC(USA) in prayer. Por favor done una lata de comida o $1 el domingo de Palmas, 24 de marzo. Lo recaudado irá directamente al importante trabajo de la Despensa de Alimento de Immanuel. ¡Gracias por su generoso apoyo! You are currently browsing the archives for the Donate category.